Cooley Dickinson welcomes information regarding any concerns about patient care and safety within our organization. You may communicate these concerns to the Patient Relations Department (413-582-4970) or send us your feedback via our feedback form. Resolution of concerns is a top priority for Cooley Dickinson’s management team. 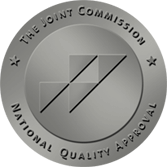 If concerns cannot be resolved through Cooley Dickinson Health Care, you may contact The Joint Commission’s Office of Quality Monitoring to report any concerns or to register complaints by calling 1-800-994-6610 or send an EMAIL. At Cooley Dickinson Health Care, we hold ourselves to the highest quality and safety standards when it comes to delivering care to our patients. We strive to follow best practices to ensure that our patients receive the right care for their conditions. We are committed to being transparent with our performance so you can learn about Cooley Dickinson and compare us to other organizations as you and your family make your health care choices. Health care quality and patient safety has been a national focus for more than a decade. Cooley Dickinson works to make care safer every day through identifying and addressing various safety opportunities in our health system. The best organizations have the courage to acknowledge these opportunities for change and learn from them to improve the care that is delivered to patients.